Market State 2- Bullish/Rational (7 trading days): The S&P 500 was down (0.6%) for the week. As Yogi Berra, would say, last week was like “Déjà Vu all over again.” The S&P 500 had another (1.5%) outlier, just like the week before and both were on Thursday (don’t try to make a connection regarding Thursdays). The low volatility will most likely relieve itself by experiencing a one or two outlier trading days up or down, in the 1.5% plus range. Such days have little impact on the overall market environment. 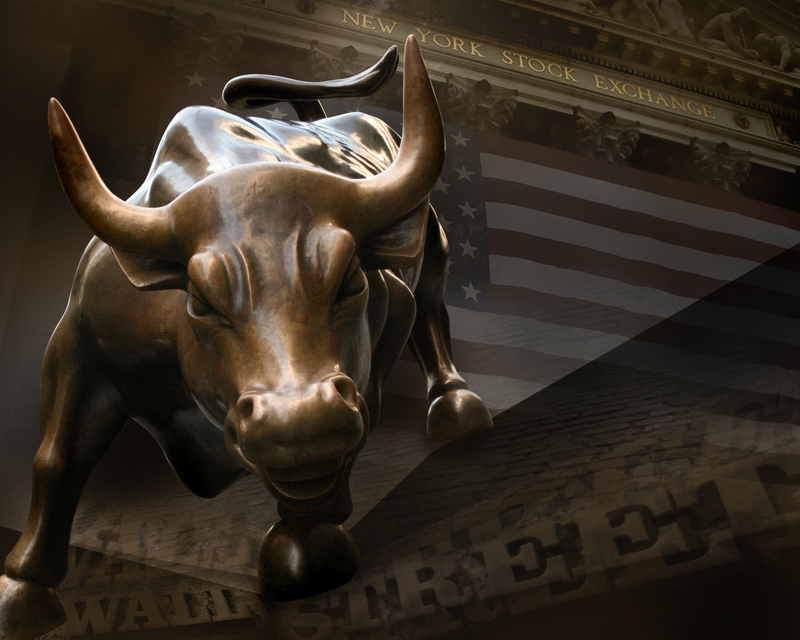 The Market continues to remain in Market State 2 which is bullish and rational. Since the previous high on August 8th, the S&P 500’s max drawdown has been only -2.05% (from the high on August 8th to the low this past Thursday); the Dow’s decline was -1.66% over the same period. The S&P 500 has only had two outlier days (+/- 1.5%), or greater, so far this year. 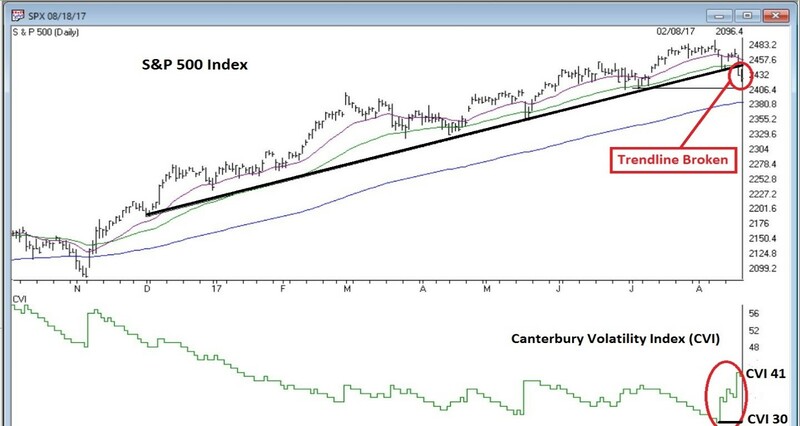 Canterbury Volatility Index (CVI 41): The two outlier days caused volatility to increase to the current CVI 41, from the record low at CVI 30. The current CVI reading is below normal for a bull Market State environment. The pressure is beginning to be relieved. Future outlier days could occur but are becoming less likely. According to Canterbury’s algorithm’s, the current sectors leading the market on a risk adjusted basis are Utilities and Technology in first and second place, out of 10 Sectors. The ninth place belongs to the Financial Sector and the last, and worst sector remains the Energy Sector. As it stands today, the small-cap indexes are down for the year and mid-cap stocks are up a little. Growth has been stronger than value. Most international markets remain strong. If the dollar continues to fall, expect most international markets to outperform the U.S. The S&P 500’s year to date upward trend line was broken last week. The most likely move from here is sideways while the market tries to rebuild its momentum. The record breaking low volatility could not continue forever. The recent outlier days were the result of the releasing of squeezed down volatility, not the plethora of news events. Events only create normal market noise, when in a bullish Market State environment. The shifting from a bullish to a bearish market is not an overnight process. Currently, we remain in a low risk period.